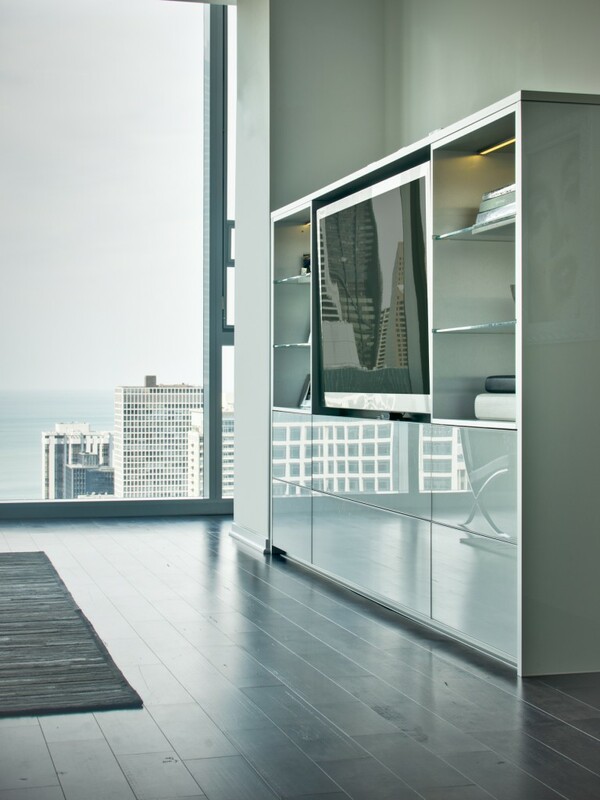 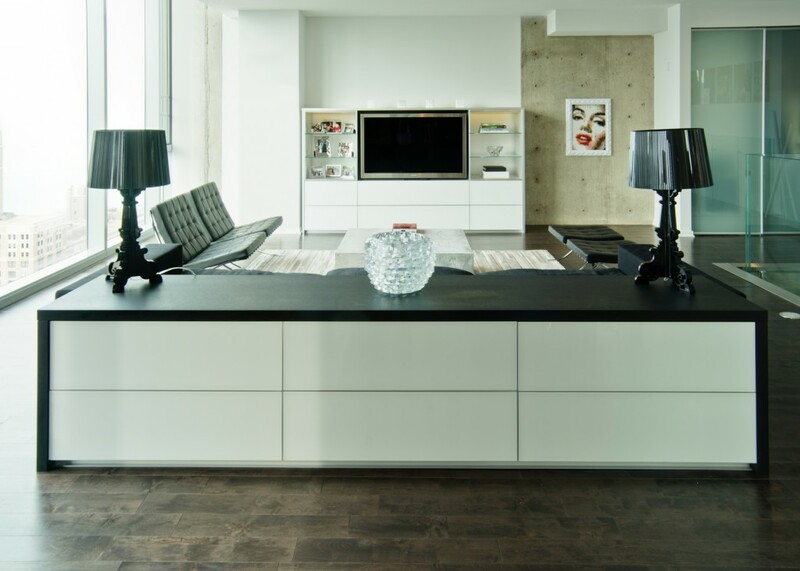 These two pieces were designed for a Chicago Penthouse that required a clean, minimal aesthetic so as not to detract from the spectacular 40th floor views of Chicago. 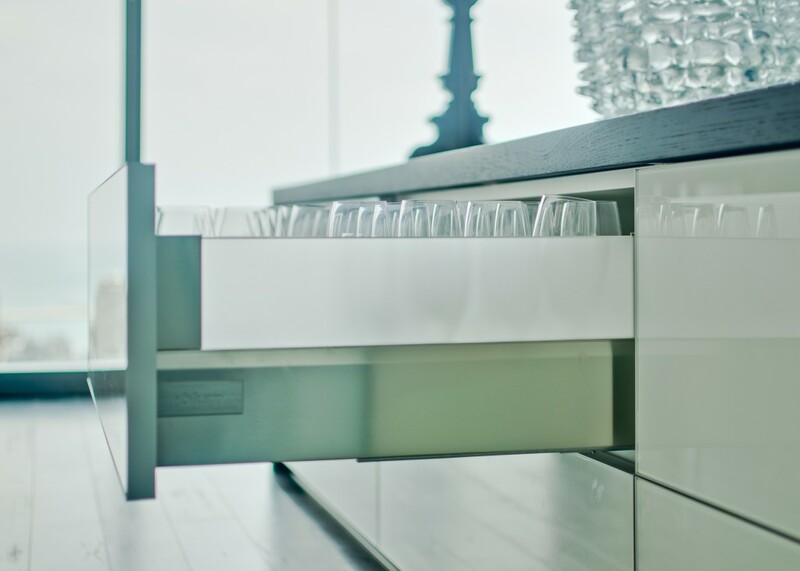 The console cabinet was custom designed to hold the clients’ china collection. 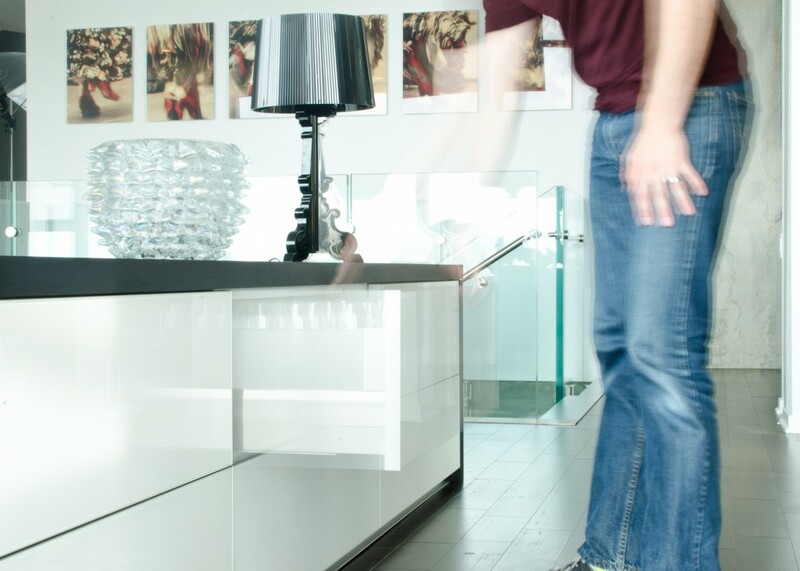 The drawers are electronically actuated for the ease of loading and unloading while hands are full. 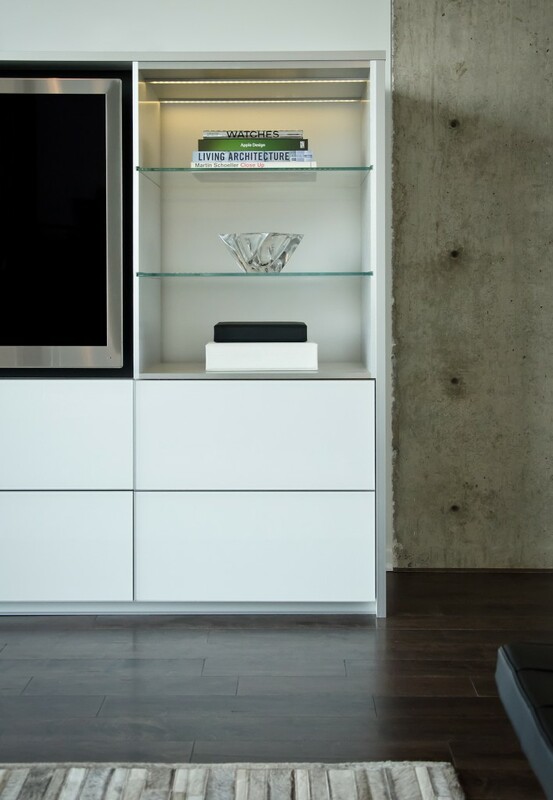 The entertainment cabinet was designed to conceal the clients’ audio/video equipment and provide storage and display space for family photographs.